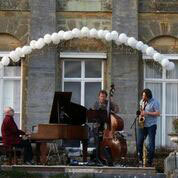 David and Anne-Noëlle Pinnegar, the owners of Hammerwood Park, held a fundraising jazz concert in aid of Action Against Cancer in the grounds of their beautiful Sussex home, once owned by rock band Led Zeppelin. Guests picnicked on the lawn while enjoying the performance on the South Terrace against the magnificent backdrop of the principal 18th-century facade of the house. The music was contemporary Anglo-Russian jazz on piano, bass and sax, played by Leonid Vintskevich, Steve Kershaw and Nick Vintskevich. "We’re especially delighted that Steve Kershaw's jazz trio have found time to come to Hammerwood this year to raise money for a fantastic cause in Action Against Cancer, even if their taste in music might, just possibly, be a little different from Led Zep's erstwhile frontmen Robert Plant and Jimmy Page." Hammerwood Park has been open to the public since 1983. A Grade 1 listed building, it was built by Benjamin Henry Latrobe in 1792, who went on to design the White House in Washington. 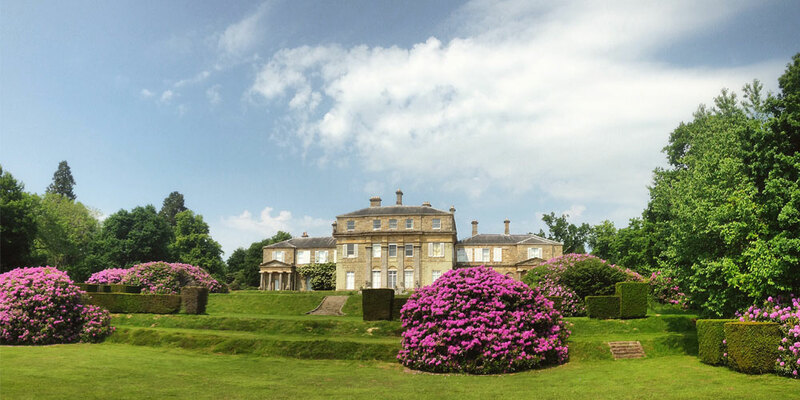 It is set in historic parkland 3½ miles east of East Grinstead and was once derelict. Under present ownership it comprised the largest private restoration project in Europe and a rolling programme continues. Superb cake is on offer for visitors!